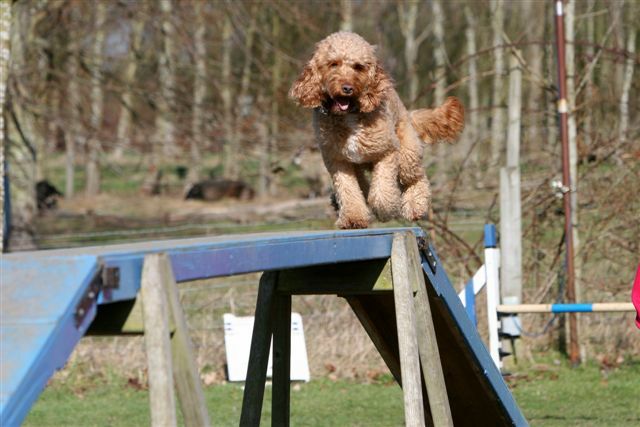 Dog agility training is a fantastic way for you and your dog to spend some quality time together while participating in a fun, action packed sporting activity. Agility training will test and strengthen your dog’s physical abilities, sense of balance, patience, control, and most of all the ability that you and your dog have to work together as a team. 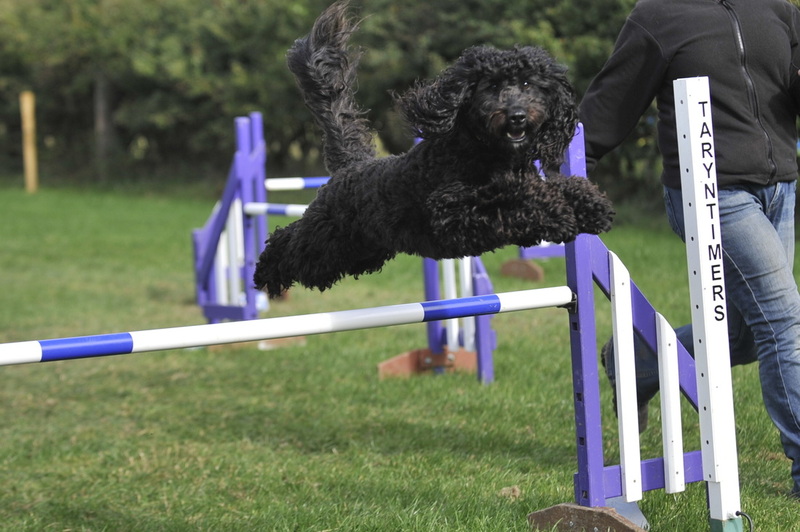 The league is open to all poodle crossbreeds in the UK. There is a charge of only £5 per year to be a part of the league, with half of your payment going to the Labradoodle Trust. The league encourages all levels of agility, so KC, UKA, BAA, unaffiliated and fun shows all count. The Doodle Agility League is run by Jo Harker in partnership with The Cockapoo Club of GB and The Labradoodle Trust. The sport of agility uses various accessories and obstacles in which your dog must manoeuvre over, under, around, and in and out of, in the best possible time, with the least number of mistakes in order to win the competition. 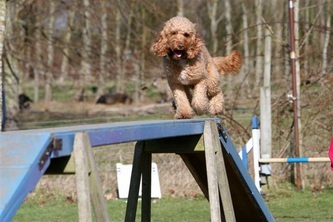 The course may have your dog weaving in and out of poles, literally jumping through hoops, crawling through tunnels, leaping over bars and skilfully mastering the art of a dog walk, ‘A’ frame and seesaw type object. 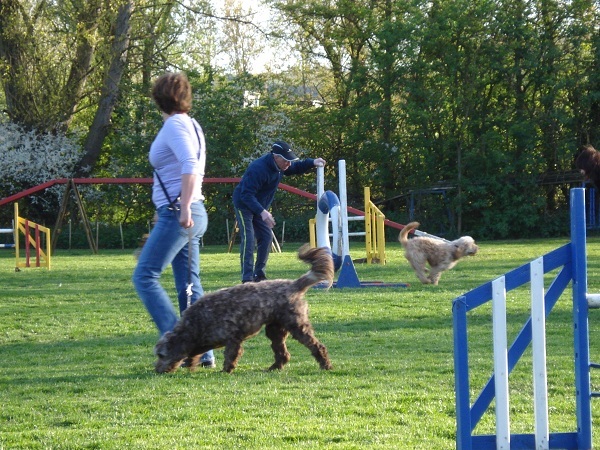 However, before jumping into dog agility training, it will be important for your dog to first understand the basics of obedience and know how to properly behave around many other dogs and people. 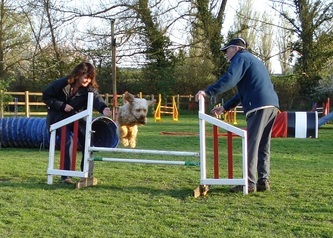 Many agility-training clubs offer group classes as opposed to those of an individual, one on one type. It is for this reason that your dog should enter the training sessions with the ability to respond to basic commands such as sit, stay and come, while either on or off his lead. It is also critical to the safety of other participants in the class that your dog is friendly and non-aggressive around other dogs and people. Dog agility training classes are offered for many different skill levels including classes that cater to the puppy, beginner, intermediate, advanced and competition level dogs. This means that regardless of your dog’s age or skill level, it is never too late or too early to begin dog agility training. Many agility training clubs use a method of training called positive reinforcement, which means that your dog will learn each agility challenge on a reward basis. When your dog has successfully performed a specific action or manoeuvre upon being given the proper command, you can then reward him/her with a treat. Many dogs are motivated by food related treats, whereas others prefer a favourite toy or tennis ball. Either way, it doesn’t matter; as long as you can ascertain what your dog’s motivating factor is and incorporate that into his/her agility-training program. 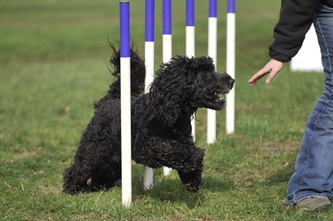 For example, if you are teaching your dog to weave through a series of poles, you can use his/her favourite treat to encourage him/her through that specific part of the course. With patience and persistence any dog can learn to skilfully master an agility course. However you will find that your dog can be light years ahead of the rest if you take the time to properly socialise him/her and introduce him to different situations and settings during this phase of his/her basic obedience training. 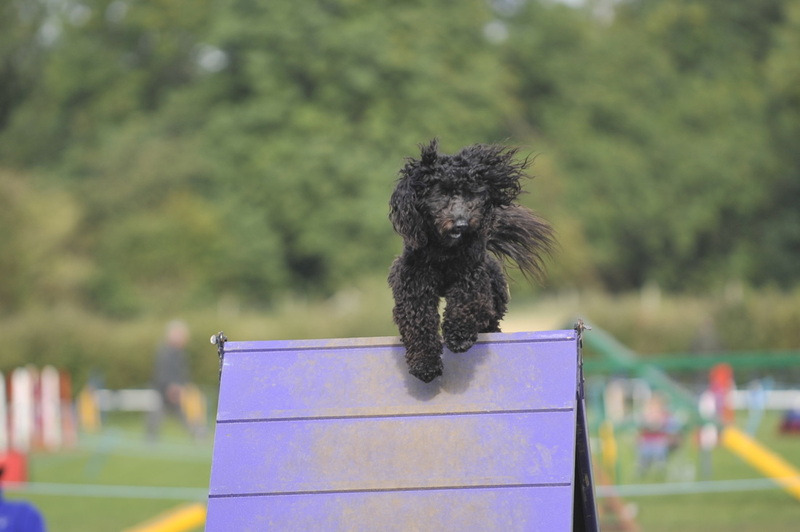 Much of the equipment used in dog agility training will be strange and foreign to your dog; hence a lot of time will be spent acclimatising him/her to the setting and the odd objects within it. A great place to familiarise your dog with weird and possibly scary looking stuff that actually moves is your local playground. Take your dog over early in the morning before the children arrive and let him check things out. Encourage him to jump onto platforms of various heights, and show him how the seesaw works so that he won’t be frightened of similar equipment in your agility class. Last but not least, make sure that you and your pet have fun at agility class whether it’s for competitive purposes or just recreational. It’s a great way for you to meet other people with similar interests and a perfect place for your pet to meet other doggy friends. These member's agility experiences and information will hopefully inspire you to have a go and give you an insight into what's involved. My name is Helen and I am the lucky owner of two gorgeous Cockapoos – Ruby (chocolate and white - 22 months) and Pepper (blue roan - 9 months). I started taking Ruby to obedience classes when she was 15 weeks old and continued for nearly a year. Ruby had always been a very lively pup and I started to feel that it was all a bit static for her. 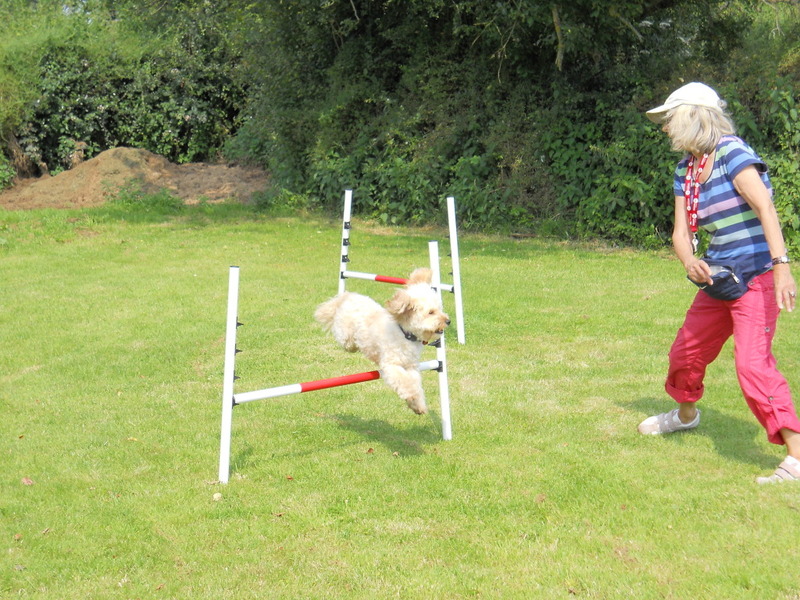 In July 2011 I had the opportunity to try agility at a fun dog show and thought that it might be a better activity for both of us so looked for a local club to join. We attended our first class at Paws at Play in October and loved it immediately. The instructors at Paws at Play teach foundation agility, spending a lot of time on basic handling skills and introducing all of the equipment flat on the floor. Within a couple of weeks Ruby was happy with the tunnel and small jumps and we were building up her confidence on the A-frame and dog walk (still flat on the floor), rewarding her with yummy treats along the way. 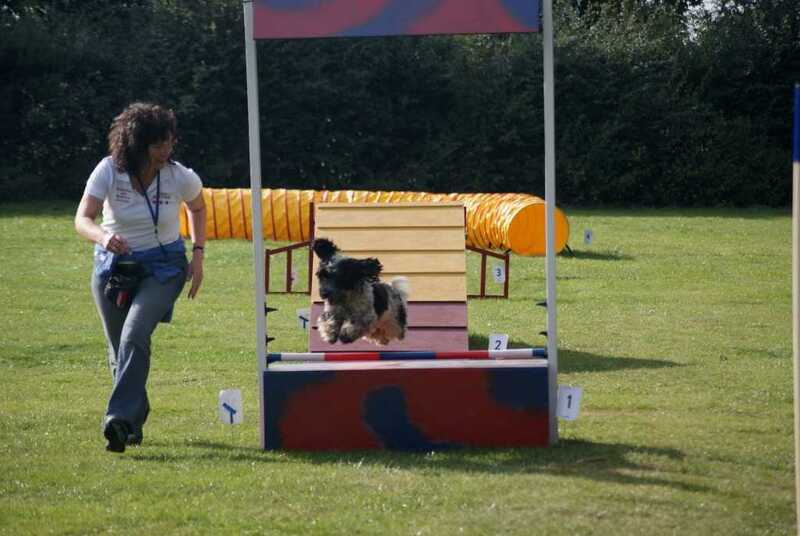 In December we had the opportunity to take part in a fun competition organised by four local agility clubs. 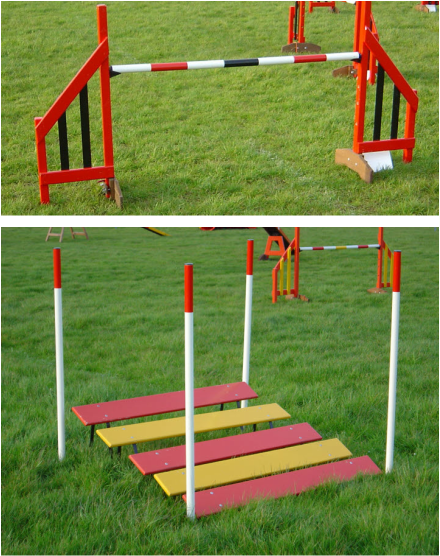 We entered the Pre-beginners section and were able to compete in the steeplechase and the jumping. I watched quite a few of the other competitors before our turn and was amazed at how good everyone was. Looking back I can see that it was probably far too soon for us to have signed up for this event and it very nearly caused me to give up, but we got through it and once it was over I wanted to do it again! The courses both included about 18 obstacles – 13 more than we had ever done before! I need to be fitter to get round a whole course without passing out!!!! Having survived this experience I returned to training with a more realistic expectation of our abilities and my love for agility has continued to grow. 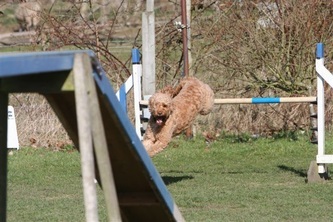 We have now progressed to having the dog walk and A-frame at full height and Ruby is jumping at medium height. 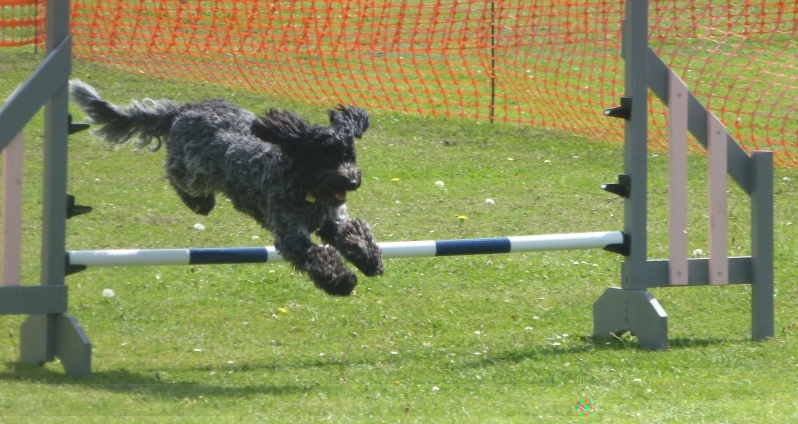 In March we had the opportunity to enter the same competition and take part in the full agility section as well as the steeplechase and jumping. I enjoyed the experience much more, knowing what to expect and appreciating that we are still very much at the beginning of our agility journey. I was delighted with how Ruby performed – we had 3 eliminations, but the judges commented on how much Ruby had improved since December so I couldn’t have been more pleased. In October 2011 little Pepper joined our family. We have been going to basic obedience since she was 13 weeks old and she recently passed her KC ‘Good Citizen Dog’ Bronze Award. I introduced her to agility at 5 months and have just completed our first 10 week term. In this first 10 weeks we have been working on the handling skills and she is popping over jumps at micro height, she loves the tunnels and is very happy on the contact equipment, flat on the floor. The highlight of my training so far with Pepper happened a couple of weeks ago during a spell of awful weather. There was a very poor turnout for training so the 2 of us from the beginners group joined in with the 3 people from the intermediate group. We did all of the same courses as the intermediates and Pepper was a complete star. She had only previously linked 4 obstacles but in this session she was completing a course of 12! My current focus is weave training. My instructors recommend the 2x2 method of weave training and ran a workshop a couple of months ago to give us the grounding and methodology. You begin with just 2 weave poles and gradually build up to the full set. I have been training Ruby this way since the workshop and have just started with Pepper. 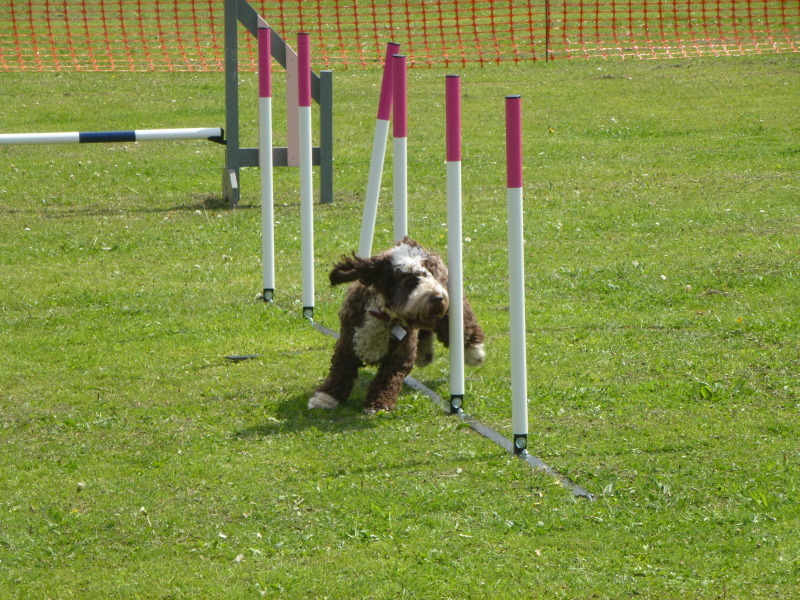 Here is Ruby with the 4 poles set at the correct distance – her first ever proper weave! With Ruby I need to keep working on the weave training and introduce her to the Seesaw. I also need to continue to develop my handling skills as she is a fast dog and I need to be able to instruct her from a distance. With Pepper I need to continue to develop the foundations of agility and work towards the dog walk and A-frame being lifted to a low height. When she is a year old in August she will hopefully have built her confidence on the jumps to a stage where we can start raising the height of them. 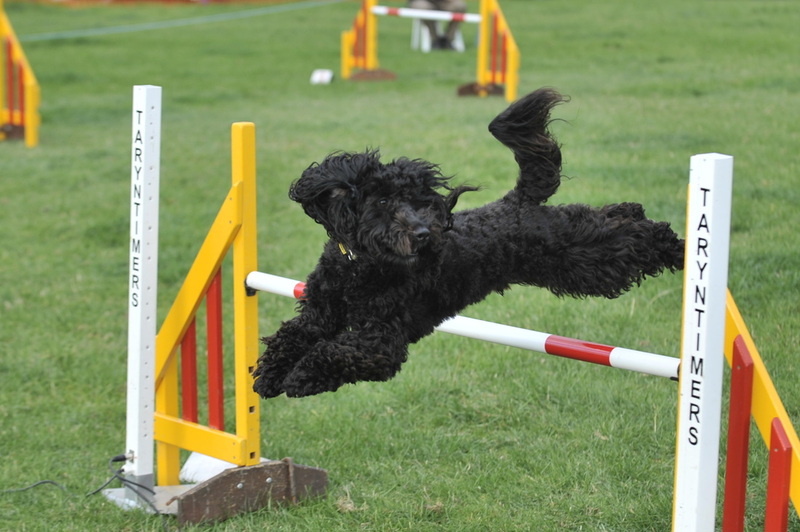 Before being able to compete in agility competitions licensed by the Kennel Club your dog needs to be registered with the Kennel Club either on the Breed Register or the Activity Register. Cockapoos aren't a breed and can't be on the breed register so they need to be registered on the Activity Register. The form for registering can be found here. 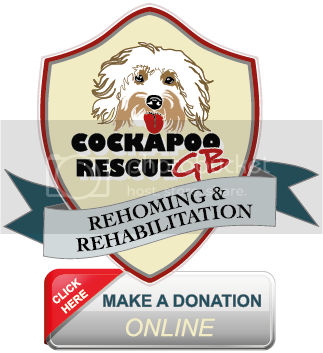 If your F1 cockapoo has Kennel Club registered parents their details can be included on your dogs certificate but only if you have the dam and sires Kennel Club name and registration number along with your dog breeder's details and signature on your application form. If you are buying a puppy and think you might like to do agility and eventually compete, it's well worth printing off an application form and, when you collect your puppy, ask the breeder to provide details for the dam and sire along with their signature for you to send to the Kennel Club at a later date. If you don't have your breeders details and signature on the application form the dam and sire are recorded as unknown - which is a pity if your F1 cockapoo has KC registered parents. Your dog will need to be officially measured before competing so once your dog is on the activity register and has a registered name, registered number and is over 15 months old you can get you dog measured at a Kennel Club agility show. You are then ready to enter your first Kennel Club licensed competition. 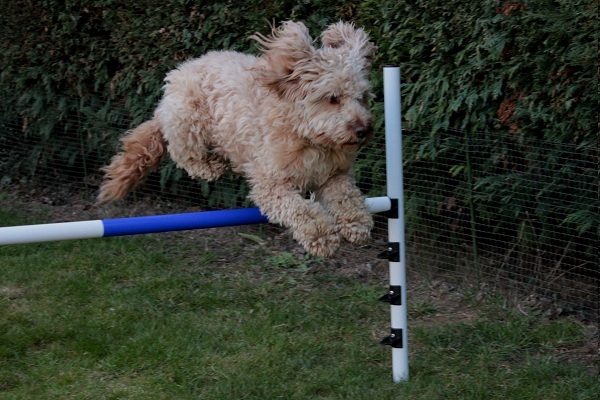 Dog agility training equipment is easily available so you can actually set up your own practice agility course in your own garden. However, it’s important to remember that it is not necessary for you to purchase this type of equipment in order to practice agility training with your dog, as any agility club that you attend will have everything you need right there. The following describes some of the various pieces of equipment that are used in dog agility. 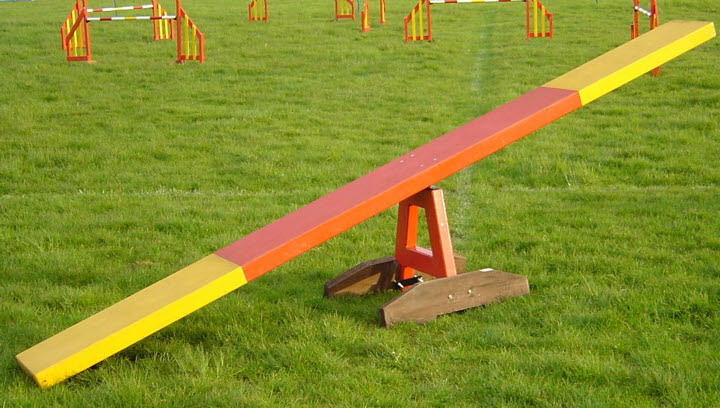 Seesaw – The seesaw is one of the more tricky pieces of dog agility training equipment. 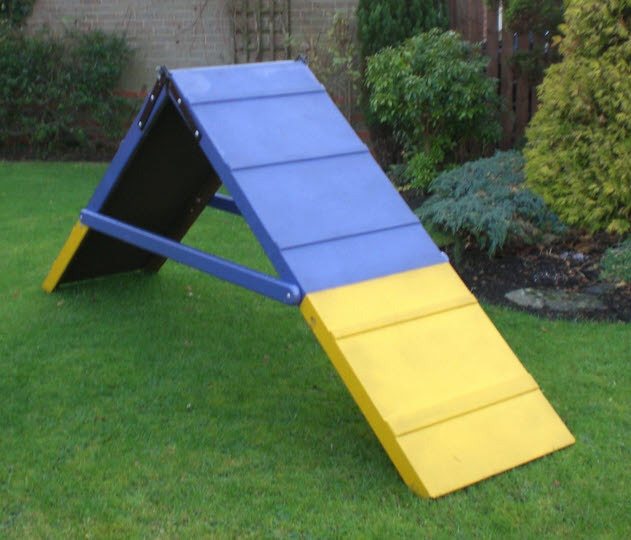 If you think of a piece of children’s playground equipment in which one child sits on each end, then you are correct in assuming that it is the very same thing in terms of dog agility. The dog must climb up one side of the seesaw, balance his weight appropriately in the middle in order for the other side to touch the ground, and then walk down that side of it. 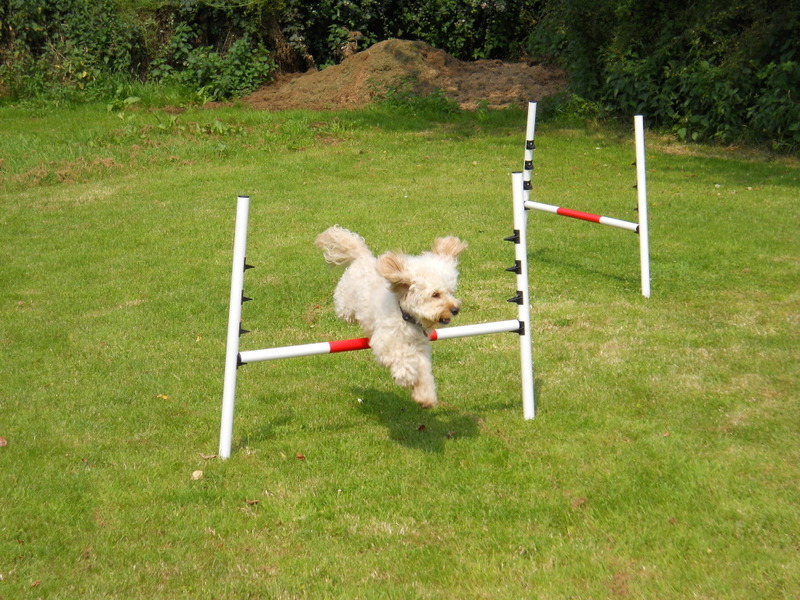 Dog Walk – Another challenging piece of dog agility training equipment is the dog walk. This is essentially like a balance beam, which will force the dog to practice his patience and balance while walking on it. “A” Frame – An “A” frame is a piece of equipment that looks exactly like the letter “A”. Its purpose is to challenge the dog’s ability to walk up and down an incline. Jumps or hurdles: - can be set at various heights and lengths in which the dog must jump over. 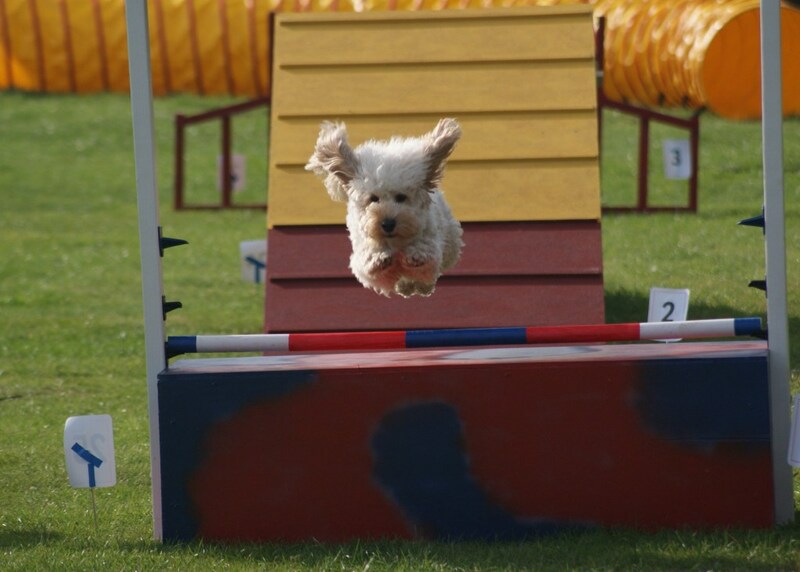 Another type of jump can also include a tyre or hoop object in which the dog will actually jump through. Open and Flat Tunnels – Plastic tunnels challenge a dog to walk into an opening without always having the ability to see an exit way. 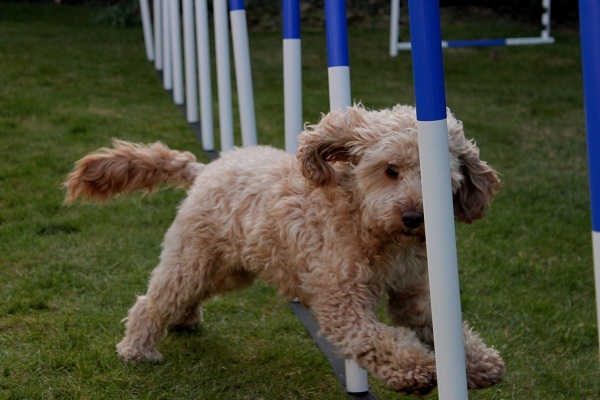 Open tunnels are fully formed, circular tubes in which the dog manoeuvres its way through to the end. 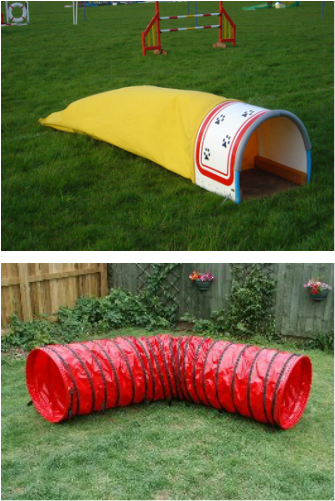 A flat tunnel begins with a fully formed, circular opening in which the dog can enter, but then is attached to a long piece of plastic, nylon or canvas sheeting, which lies flat on the ground. The dog must push his way through this closed tunnel in order to reach the exit. 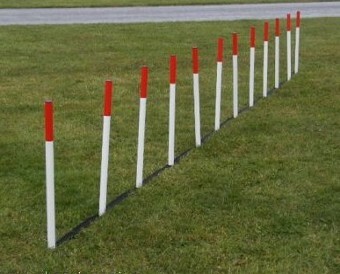 Weave Poles – Weave poles can be set in the ground at various distances apart from each other depending on the size of the dog. The idea is for the dog to begin at pole one and weave from left to right throughout each and every pole until he reaches the last of them.